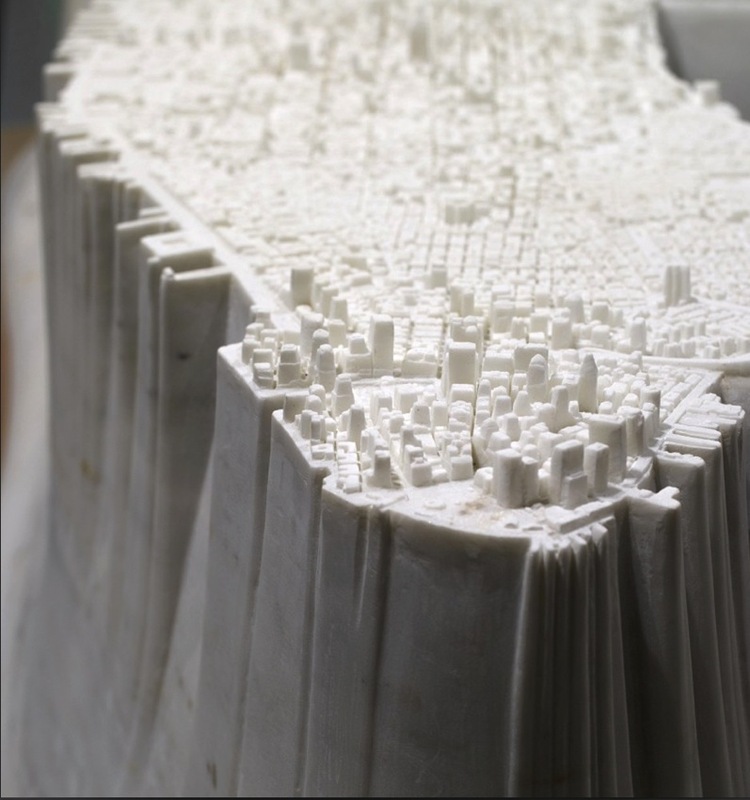 A Miniature of Manhattan Carved in Marble #ArtTuesday « Adafruit Industries – Makers, hackers, artists, designers and engineers! Another great piece from the Armory Show this year! Check out Adafruit’s coverage of the show here. Via gBlog. 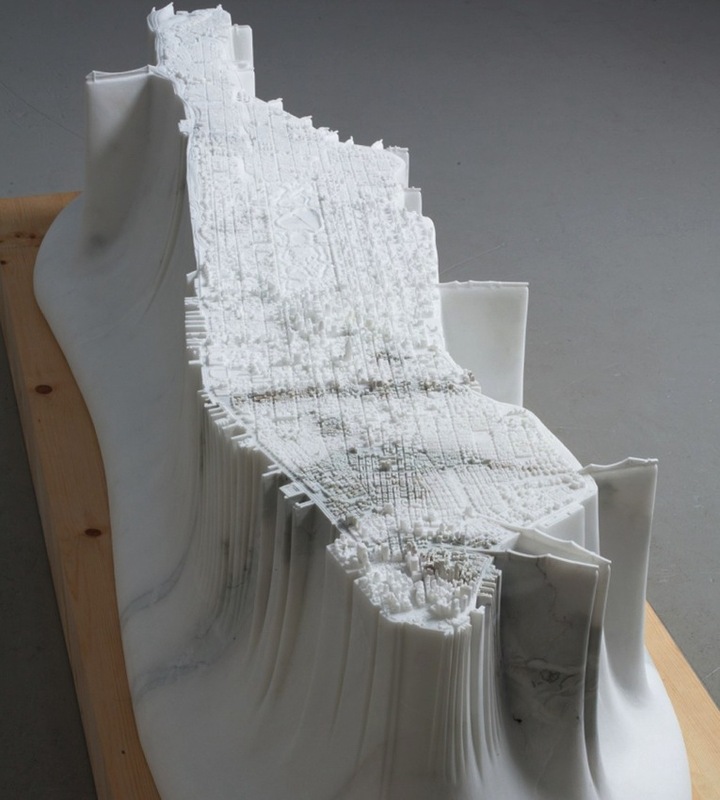 Presented last week at the Park Avenue Armory art fair, Little Manhattan is artist Yutaka Sone’s marble rendering of the city. Sone was born in Shizuoka, Japan and is now based in Los Angeles. Although trained in architecture, he specializes in sculpture and works across disciplines in painting, drawing, photography, video, and performance. His marble vision of New York City began to take shape in the late 1990s. The artist then conducted research for nearly twenty years, using photographs, Google Earth, and helicopter rides to capture the details. Crafted from 2007-2009, the finished piece spans nine feet in length and three feet in height, with the cityscape just three centimeters tall and made to-scale. Weighing 2.5 tons, the sculpture is only “miniature” in comparison with the actual island. The commanding design perches the city on top of an abstract cliffside. Underneath the intricate surface of Manhattan, a smooth block of marble stands and curves like water at its base. Wrought in marble, the city appears at once grand and delicate, caught in limbo between its man-made wonders and the island’s natural form.